You may enter daily notes or block the whole day for any kind of event. Each reservation shows the important information such as the number of guests or the guests name. You will find all reservations grouped by the day. You just need this one page to see all customers that have planned to show up on that day. You may also enter new reservations by clicking the favored time. Start your free trial. When registering reservations for your regular customers, the phone number and other details are filled out automatically. 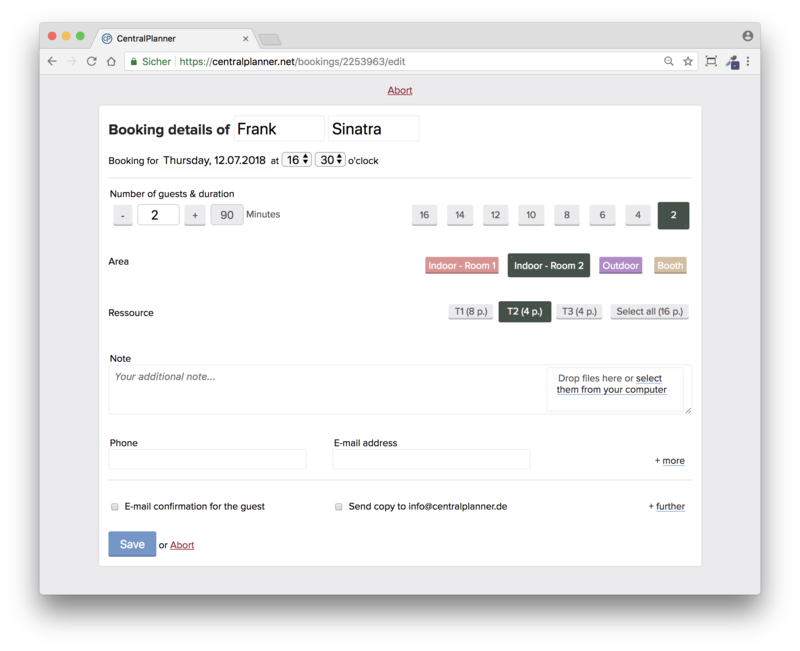 Your areas or different booking types can be set up once and easily be used immediately. You simply submit the booking details into our booking mask instead of scribbling them into an regular book. CentralPlanner uses auto-complete to assist you. Start your free trial. When booking online, your customers directly see available timeslots. They may even receive an automated confirmation via mail. Market your business by informing customers about special offers. You might want to use our online reservation service in order to relieve your service staff. When more and more reservations are submitted online, the service crew has more time for pleasing your customers. Start your free trial. 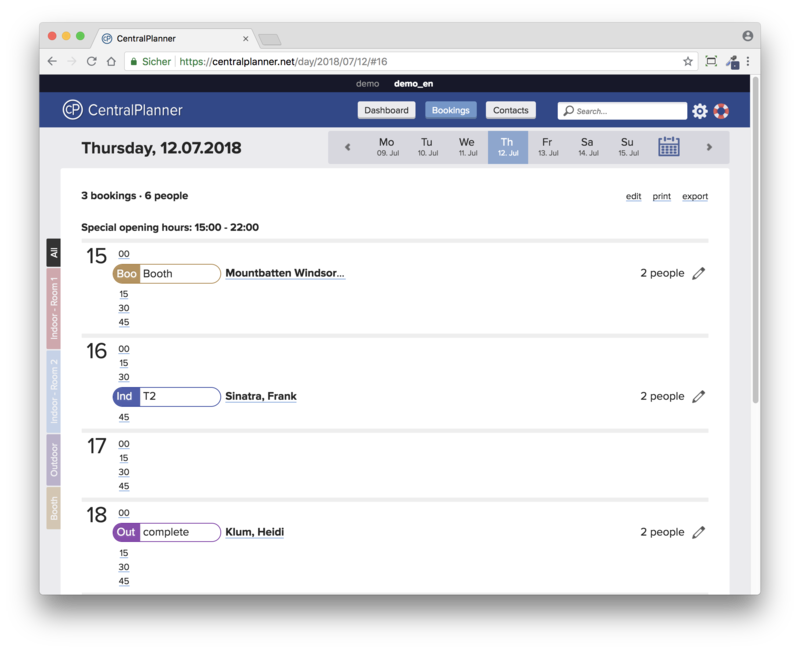 Give CentralPlanner a 30-day test ride. It's free. Easy to use Accept bookings, stay up to date with recent online bookings. Convenient Features such as auto-complete and automated table management got your back. Customer focussed Customers will love to make reservations 24/7 and that you make their stay even more convenient. 30 day free trial on all plans.